Workbox: Website Launch: Tequila, Mezcal, Rum? Sounds Like Happy Hour! 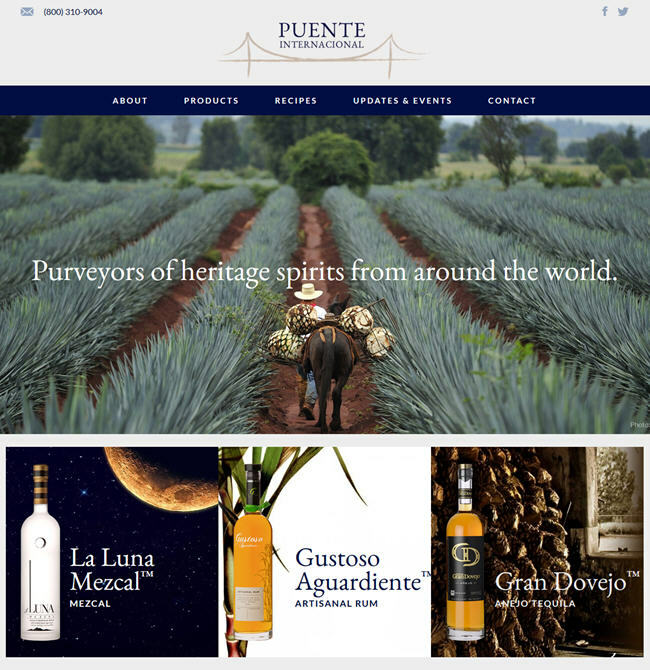 Workbox is extremely proud to announce the launch of Puente-Internacional’s new website at https://www.puente-internacional.com. Puente-Internacional imports, markets and distributes artisanal, small-batch crafted wine and spirits – from Mexico right now, but they’re scouring the world for cool stuff to expose us to here in the U.S.
You can find their products at good restaurants, bars and stores now!